Esports, and other games : CounterStrike: GO - Learners who have qualified for National Team Trials. CounterStrike: GO - Learners who have qualified for National Team Trials. Deity - Paul Roos Gimnasium's team that finished in 3rd place at MSSA's 8th Online Inter-School Championships. No fewer than six (6) teams comprising of thirty (30) learners qualified at MSSA's 8th Online Inter-School Championships held on 10 February 2018 for MSSA's 2018 National Team Trials. 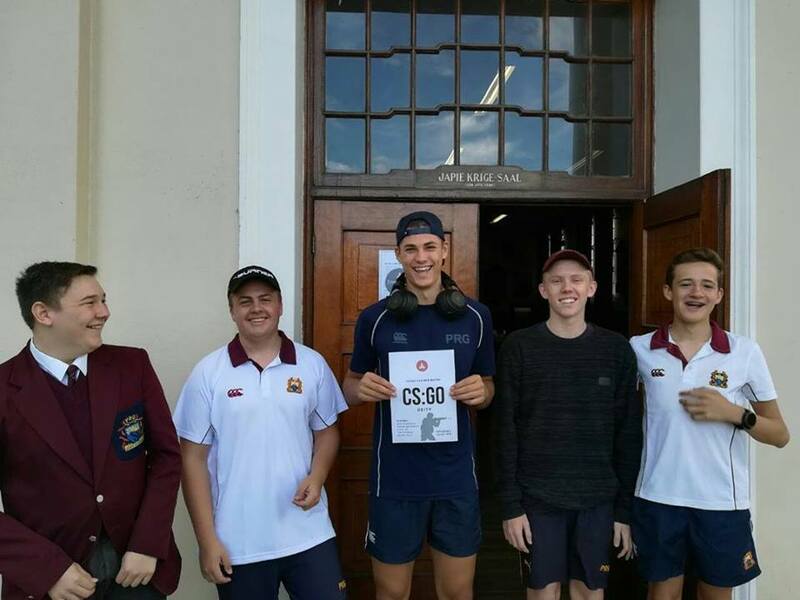 Many more gamers will no doubt qualify for such Trials at MSSA's 36th Gauteng Championships to be held at Northcliff High School to be held on 24 and 25 February 2018.